The foundations of capitalism are being battered by a flood of altruism, which is the cause of the modern world’s collapse. This is the view of Ayn Rand, a view so radically opposed to prevailing attitudes that it constitutes a major philosophic revolution. In her series of essays, she presents her stand on the persecution of big business, the causes of war, the default of conservatism, and the evils of altruism. 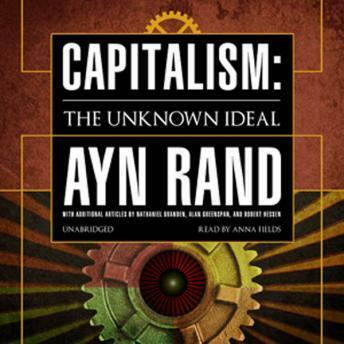 This collection of twenty-six essays includes twenty by Ayn Rand as well as three essays by Alan Greenspan, two by Nathaniel Branden, and one by Robert Hessen. They constitute a challenging look at modern society by some of America’s most provocative intellectuals.